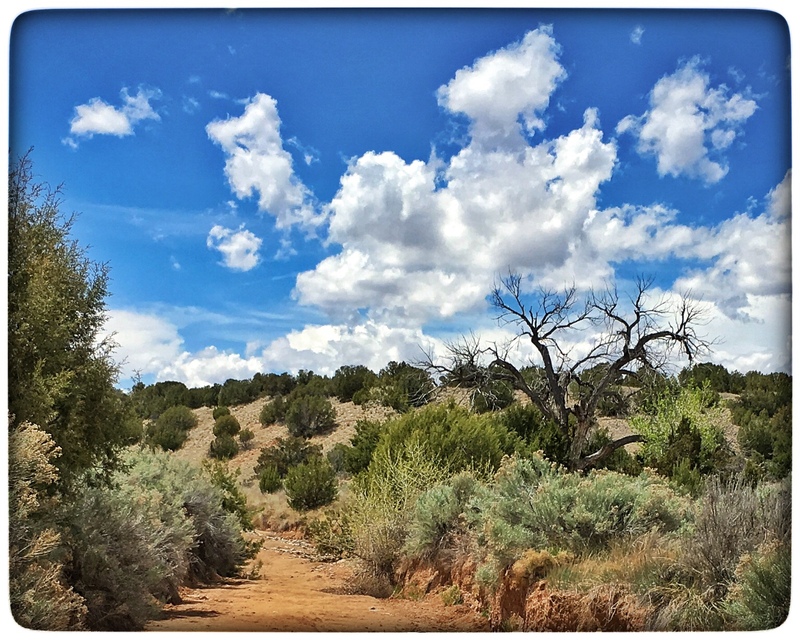 Nothing spectacular here, just a beautiful place for a walk in the clear, crisp air of northern New Mexico. The ravens around here sit on treetops and carry on conversations consisting of loud clacks and gargles, squeeks and rattles. I wish I could join in. Or at least understand them when I eavesdrop. 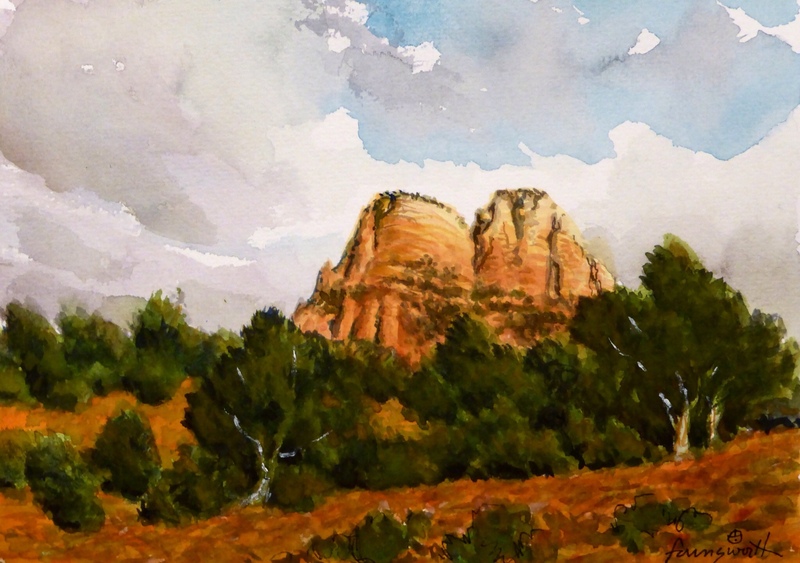 The Red rocks of Sedona, Arizona; prominent in the landscape of my childhood and youth, they will always be a part of the area that is Home to me. Thea and I had to take care of some shopping in Albuquerque, and I was anxious to make a test run, prior to my upcoming travels, so we drove down late on Friday and spent Saturday there. Our business taken care of, we did some shopping. While Thea was in the mall, I stayed in the car, in the parking lot, to do some work on my iPad. But I decided this might be a good time to do the day's painting. 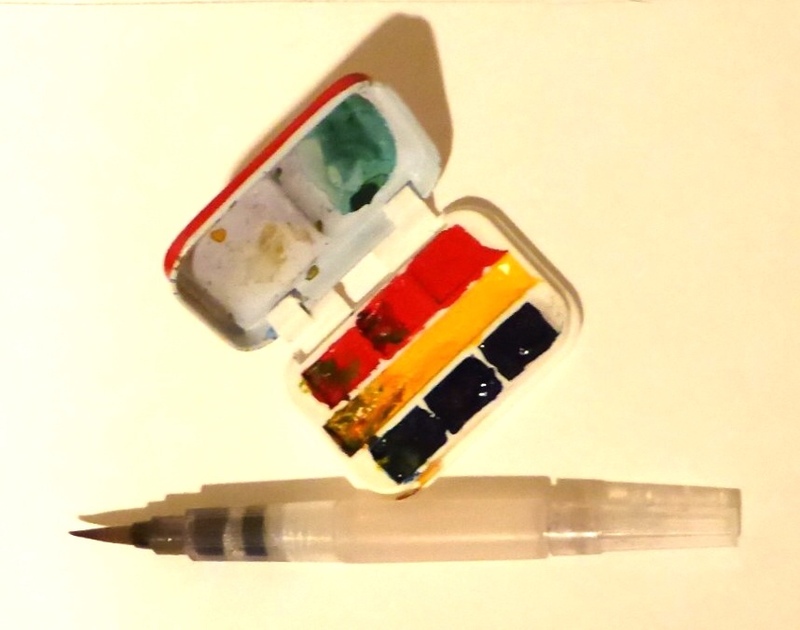 I remembered that I had a tiny palette in one pocket, and a small reservoir brush and a pen in another. 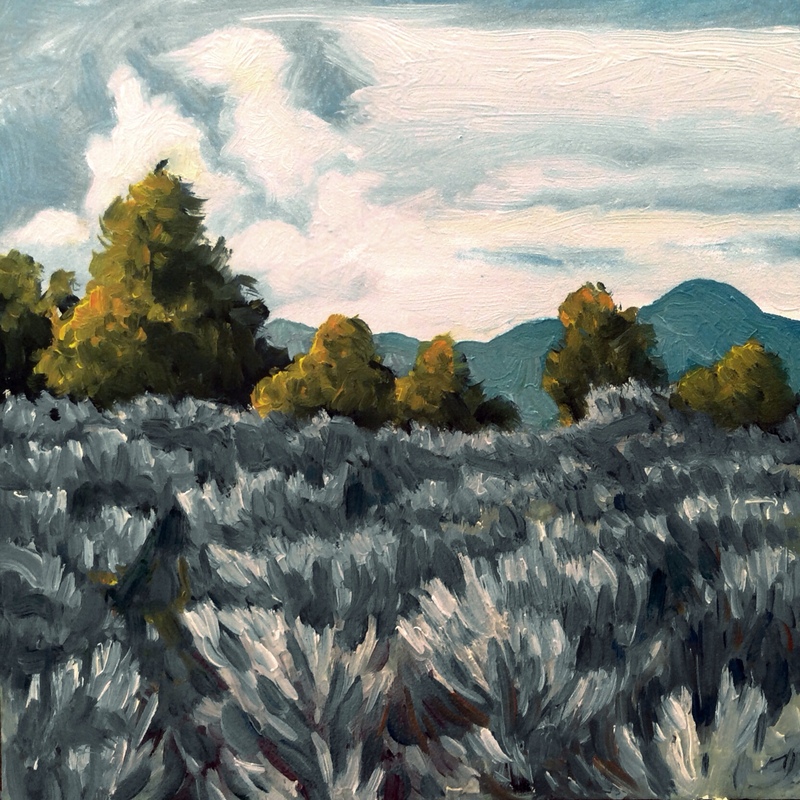 I had tried, on the way from Taos, to capture a snapshot of a view I had long wanted to paint. Tres Orejas (Three Ears, a local landmark) as seen from The Horseshoe curve on hiway 518 as it skirts the base of the Picuris mountains. I was scrolling through my shots, and there it was! 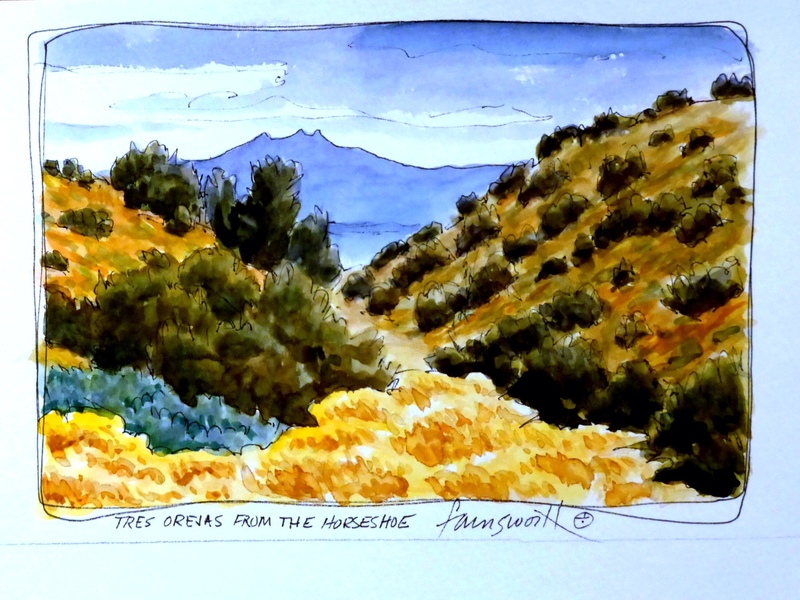 So, here it is transformed into a watercolor painted while sitting in the car, using these small, very transportable tools. I deem it a trial run success! Thea returned just as I was finishing, and caught me in the act with her iPhone. This little child's novelty tin palette had set me back some seventy nine cents when I purchased it years ago as a joke, thinking it would be fun to have it lying around conspicuously in the studio. A few days ago, though, it occured to me to remove the small pans of dubious quality paints, and replace them with my own favorites. With this in the watch pocket of my jeans, that little reservoir brush filled with water, and a pen, all I need is some paper and a subject, and I'm ready to travel. 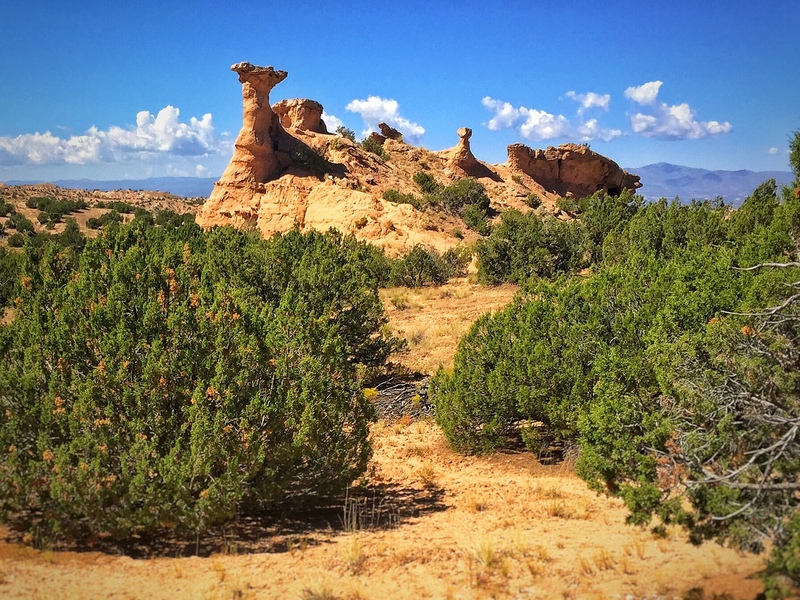 There is so much spectacular scenery in New Mexico and the Southwest in general, that the merely beautiful is easily and often overlooked. I love painting these simple glimpses of the country I call home. The scenes between the scenes. Be the winning bidder on last Wednesday's painting, PAINTED BISON SKULL, #1000, and help us celebrate this milestone by accepting our invitation to Taos, New Mexico and our home for two days and a night. Be treated to a free one-day workshop, a photography walkabout, or a driveabout. Your choice. Or just kick back and relax. It's up to you. We will do all we can to make this a visit to remember. 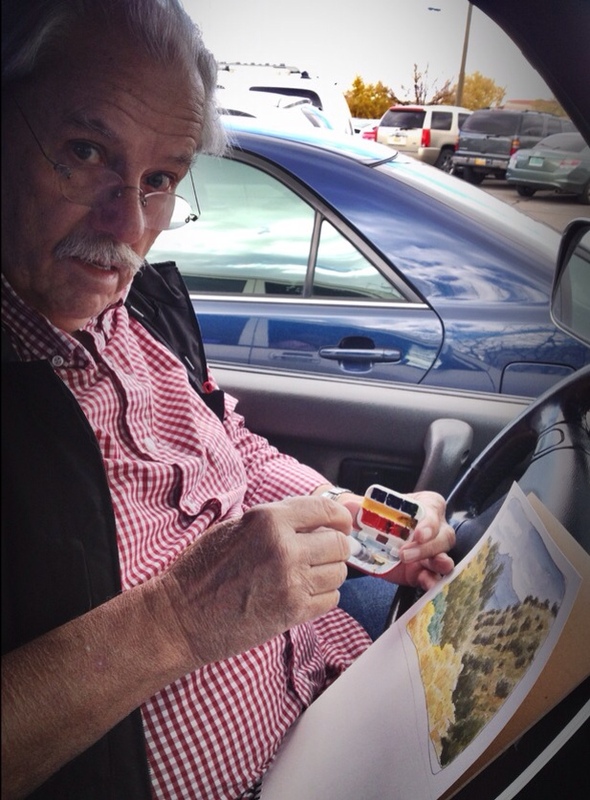 To bid, email farnsworthgallery@newmex.com, or call Thea at 505 982-4561. You have until midnite on Wednesday, the 26th, to bid! As a special thank you to all the wonderful collectors, friends and followers who, through their support and encouragement, have made this blog a success, I'm offering a name your price week. 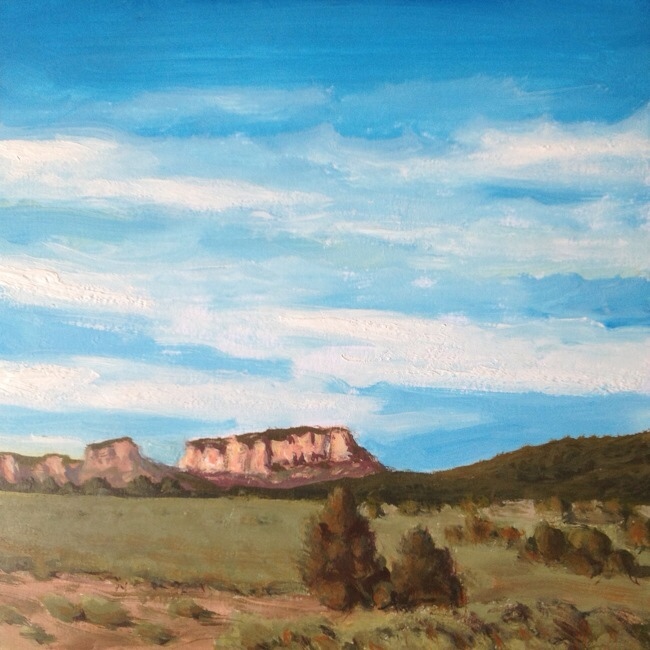 Starting with Thursday's painting, and running for one week only, I am removing the $200.00 minimum. Bid anything you like. The first bid received wins! So bid today, and be sure to check back tomorrow! NOTE! I have a special new WORKSHOP coming up in July. Click HERE for details. I hope you can join us. Materials included. 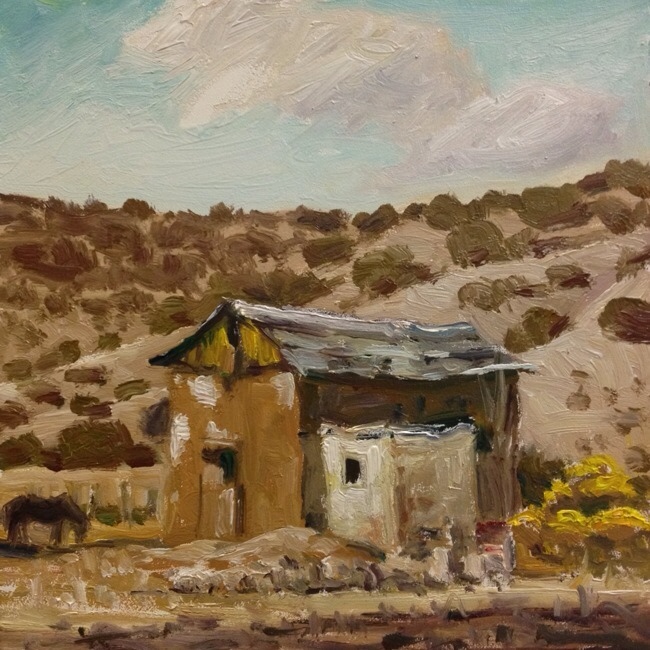 With everyone working jobs in town, this old adobe farm building in Northern New Mexico has fallen into disuse and started its return to nature. I find it sad to see the passing of honest old hand made structures like this, but time moves on, whatever we may feel.